I have always been attracted to trees. My fascination with them has been with me at least since adolescence—walking beneath them, planting them, writing about them, and studying them. I have written numerous musical works about domestic trees, but this piece is my first foray into the foreign. The Middle East is rich with histories, languages, and cultures in which trees and various flora are regularly invoked as symbols—symbols of land, struggle, peace, nationhood, and memory. Recent events have drawn my attention to the region and the trees—the living signs and symbols—that it hosts. Olives are not only a precious commodity to their famers, they encode a history of their caretakers, their groves, their cultures. The fruit yields an oil that, for some, is not only used at every meal, but is the source of light as the fuel for traditional lamps. The Bible and Koran are filled with references to olives and their oil’s worth. Additionally, the regular maintenance of one’s olive trees is a social and family affair. Harvesting olives engages the community, and children can scatter through the groves, sometimes playing, and sometimes picking up fruit that has fallen to the ground which, if sold, can yield a bit of change. An olive grove, with aged trees, and burled ancient roots, is a place of labor, of life, of history, and heritage. The loss of olives, their uprooting, their burning, their displacement, is the loss of that labor, that life, that history, and that heritage. In Roots and Groves was commissioned by the Salty Cricket Composers Collective and premiered on March 11, 2016 in Salt Lake City, UT. “End Light,” a hybrid video and sculptural work by Collin Bradford that I have scored, is premiering at ArtPrize 2016 and will be featured in the Urban Institute for Contemporary Art in Grand Rapids, MI from now until Oct. 17th. End Light, premiering at ArtPrize in 2016 at the Urban Institute for Contemporary Art, is a hybrid video and sculptural work. The video was shot in a massive automated library storage system, in which books are retrieved by a robot crane. A man who is captive in a room above this vault receives communication only via books that his son requests that the crane deliver to him. He finally escapes by riding the crane into the heart of the vault. Outside the video gallery is a sculpture structured by large stainless steel bins used in the storage vault. These bins are pierced by fluorescent tubes that serve as grow lights for ferns, a rhizomatic plant. These works explore a cultural shift, accelerated by globalization, technology, and the internet, from the Enlightenment project’s collection and hierarchical categorization, organization, and storage of knowledge via science, math, and reason to the rhizomatic dispersal of knowledge and the breaking down and escape from rigid hierarchies and organization. End Light from Collin Bradford on Vimeo. “The Delicates Converge” is an electro-acoustic work that premiered at the Ann Arbor Chapter of the SEAMUS Annual Concert in the McIntosh Theatre, Ann Arbor, MI, November 10, 2012. I’m always a sucker for working with other talented artists. This time it’s choreographer, filmmaker and screen dance artist, dancer, and teacher Brittany Whitmoyer. A teaser (with some of my music). The Bones of Your Beliefs Teaser from Britt Whitmoyer on Vimeo. 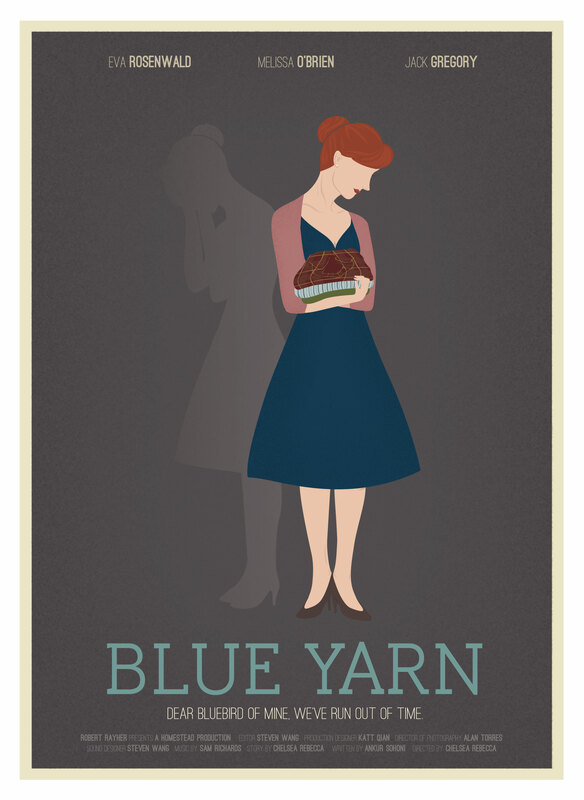 In 2011 I worked with director Chelsea Rebecca and a team of filmmakers in Ann Arbor on the production of the short film “Blue Yarn.” The music I wrote was a combination of solemn piano interludes and early 1960’s country tunes. In addition to composing an original score, I worked on set as a boom operator, and worked in post production as the sound designer and mixer. I love working with film, and I love being asked to do things that I’ve never done before. I’ll get around to writing more country crooning songs some day, I’m sure. In the meantime, I’m grateful to have had the opportunity to collaborate with such diverse and talented artists and technicians. Although the entire film isn’t available to the public, the closing credits, with music by yours truly, can be found below. “Blue Yarn” End Credits from Katt Qian on Vimeo. What is Music Theory Pedagogy?